A beautiful silver-plated music box from Vera Wang's Baby collaboration with Wedgwood gifts. 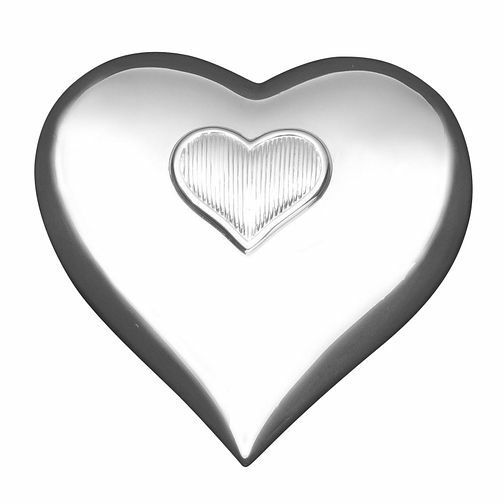 Crafted into a delicately engraved heart with a smooth polished finish, this is a precious keepsake perfect for presenting on a child's Christening. Elegant and timeless Christening gifts from international designer Vera Wang.